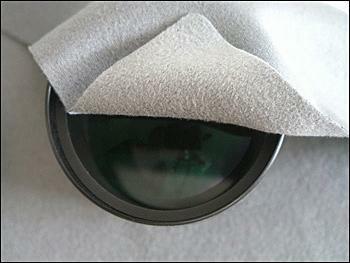 Safely Remove greasy fingerprints and dust from your LCD Monitor. The iProtect Cleaning Cloth is made with ultrafine microfibers that effectively remove dust particles, grease and fingerprints that reside on the LCD surface. iProtect LCD Cleaning Cloths do not scratch the LCD surface but will pick up and hold particles from the LCD Screen. iProtect LCD Cleaning Cloths have two different surfaces designed to effectively clean LCD screens. The soft vanquished surface (front surface) is designed for fine particle removal and dust cleaning. The rough and interlacing strands of the knitted surface (reverse side) is designed to clean fingerprints, grease and marks. The iProtect LCD Cleaning Cloth features a fringe wave design that will not scrape the LCD panel compared to the fringe stitch found commonly on most cleaning cloths. · After drying, keep cloth in the protective box it is packaged in. The iProtect Cleaning cloth is ideal for cleaning LCD Displays, notebook computers, MP3 Players , lenses, compact discs, computers, cameras, musical instruments, and a large range of optical equipment. Read Customer's comments regarding the iProtect Cleaning Cloth.